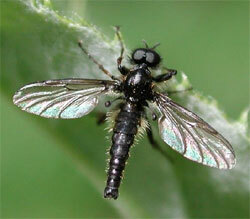 Notes: The Black Gnat is a traditional Classic Fly dating back to the times of Dame Juliana Berners in 1496. From her book, Dame Berners described the use of Quill wings for creating wet flies that mimic the natural insects she studied. 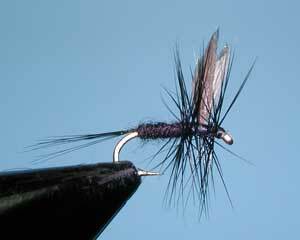 The Black Gnat is typically tied using a Natural Gray Duck Quill wing. It is in a class of Wet Flies that include the Royal Coachman, Coachman, and Leadwing Coachman, utilizing the Natural Quill wing. 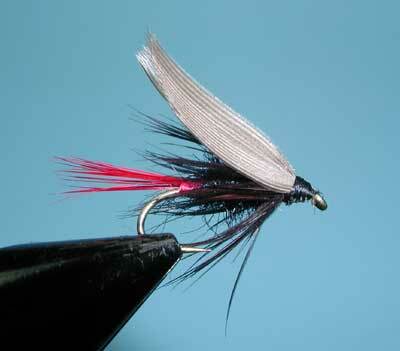 The Black Gnat is also tied as a dry fly with a stiff hackle and an upright quill wing. Gnats tend to be prolific near stillwaters, particularly around the reedbeds. They will rise in clouds above the reeds and will be blown into the water by wind. They are a member of the Fly family and lay their eggs within running water. The gnat larvae remain within the water for about ten days clinging to rocks before emerging. They are known for biting and can be called midges or no-see-ums.